This nutty and wholesome soup is perfect for a hot summer cool down. Prepare the almond milk an hour before preparation and put in the fridge to chill. 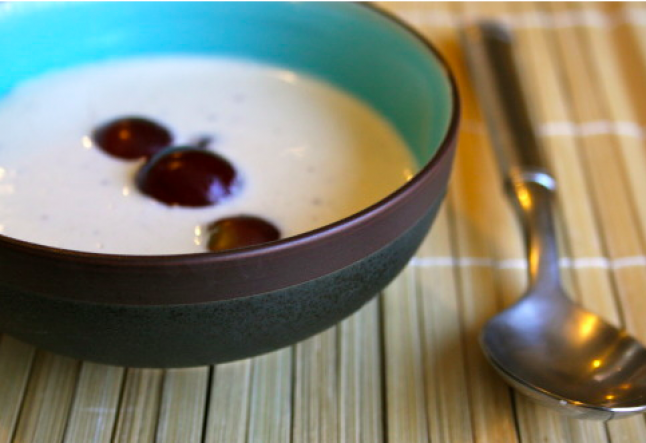 Pour 1 1/2 cup of almond milk in a glass or ceramic soup bowl. Add all of the prepared ‘with love’ ingredients to the cold almond milk from the fridge. Garnish with some fresh dill to top off the creamy creation. Serve right away as a tasty quick lunch, snack or entrée. LOOK WHO IS “DOING IT" WRITING ABOUT COOKING!